The neural plate is a portion of the dorsal ectoderm that is specified to become the neural ectoderm. It is distinguished by the appearance of columnar cells. Neural plate formation is the first step of neurulation, which is the generation of the neural tube. 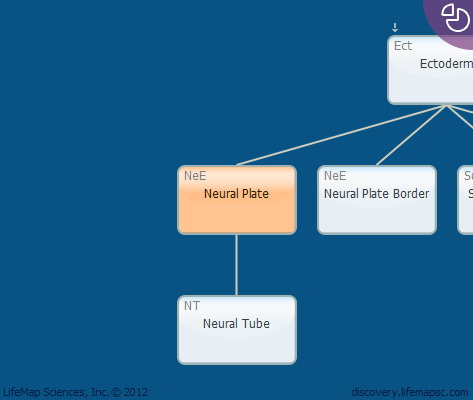 The neural plate appears on E7.5 in mouse, and day 18 in human.